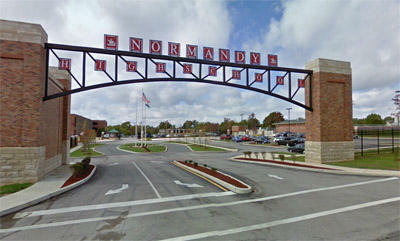 Normandy schools have been heavily impacted by Missouri's student transfer law. Senate Bill 493 would still allow for accrediting individual school buildings within a district, instead of the school district as a whole, and would still establish regional authorities to oversee transfers. But the House added language Wednesday night regarding transfers to private, non-sectarian schools, limiting them to the city of St. Louis, St. Louis County and Jackson County. State Rep. David Wood, R-Versailles, sponsored the amendment, which he says would also require local voter approval before local public money could follow a transfer student to a private school. "If they vote 'no,' the private option is off the table until a private school would like to have it put back on the ballot," Wood said. "If the district passes the vote and says that the private option is a good deal for their money, then we allow that to happen." Fellow Republican Jay Barnes of Jefferson City also added language mandating that any private school that accepts public dollars from a transfer student's original district would automatically have to follow every state law that governs public schools. "We consistently hear that (private schools are) playing by a different set of rules," Barnes said. "We have taken away every argument usually used by ... the education establishment against the private option." Opponents, including Democrat Margo McNeil of Florissant, argued that the proposal amounted to a voucher bill that would funnel public money to private schools. 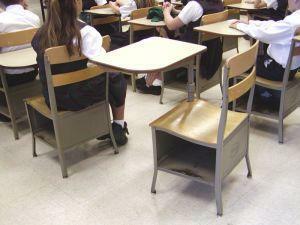 "We are greatly underfunded in our (K-12) foundation formula," McNeil said. "If we think it's difficult right now to get the funds, wait until we have kicked this door open and have included funding for private school students ... it will find its way into school districts all over this state." State Rep. Jill Schupp, D-Creve Coeur, also weighed in, saying that school children would be used as shields in a war on public schools. "We cannot use our kids as hostages to undermine public education by undermining the funding to public education," Schupp said. 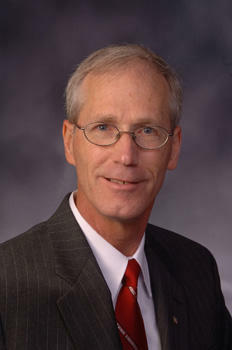 State Rep. Rick Stream, R-Kirkwood, urged the entire House to support the altered bill. "If (your) children or grandchildren were in these unaccredited school districts, and they did not have the financial wherewithal to get out ... or to put their children in a private school, what would you want for your children and grandchildren?" Stream said. "You would want those children to have access to a high quality education somewhere else than the buildings they are in in those unaccredited school districts." The revamped bill passed 91-64, which is 18 votes short of the 2/3rds majority needed for an override if Gov. Jay Nixon, a Democrat, decides to veto it. He's on record as opposing public dollars going to private schools. Twenty-four Republicans joined 40 Democrats in voting "no." You can see a list of who voted for and against the bill here. It now goes back to the Missouri Senate, with just over two weeks left in the 2014 regular session. Depending on how tuition calculations for transfer students are figured for the coming school year, the Normandy School District — if it still exists — could end the upcoming school year with a deficit of as much as $11.7 million, district officials said Tuesday. Addressing the latest meeting of a task force formed to determine options for Normandy’s future, Mick Willis, the district’s assistant superintendent of operations, presented four scenarios for the 2014-15 school year.